I love having a new toy to play with! 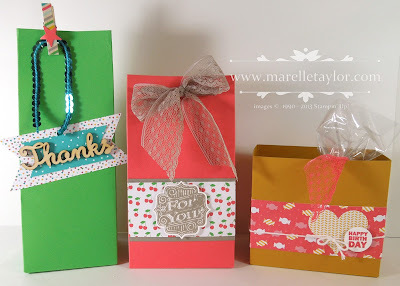 The latest in my collection is the Gift Bag Punch Board. 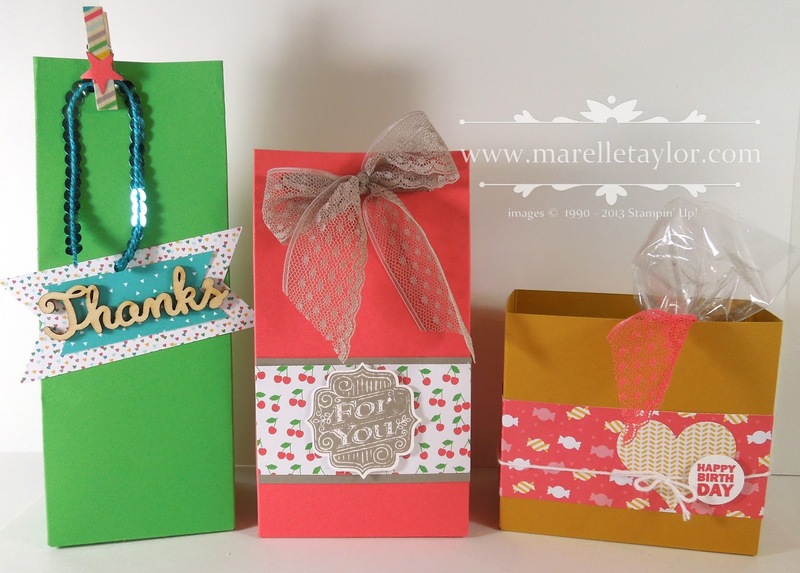 It's now super easy to make gift bags and boxes in all shapes and sizes. 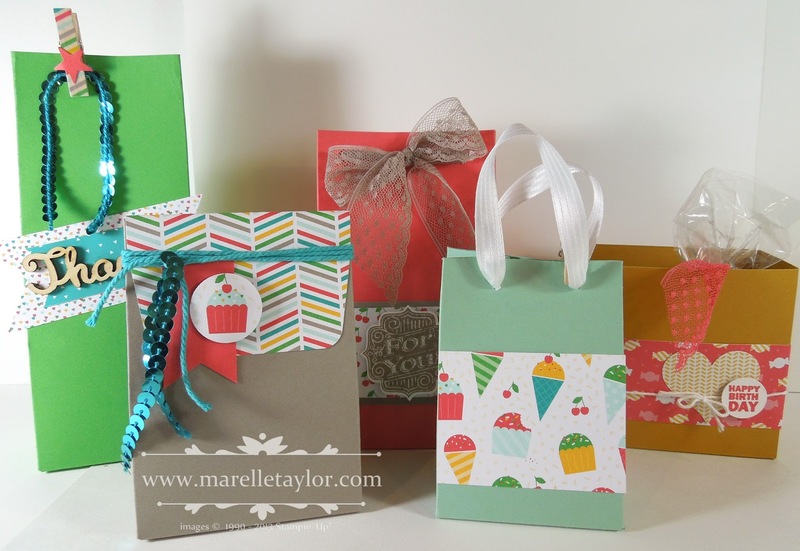 I've used lots of fun bits and pieces to decorate my bags and boxes, but they all feature the Cherry on Top Designer Series Paper Stack. I'm going through lots of this paper. I'm finding the bright colours and cute patterns really easy to use.